We know Summer is in her prime when large frilly heads, collectives of miniature florets, billow about. With deep green glossy foliage giving us welcome visual relief during searing spells, it is no wonder we have such a fondness for these grand old dames of the floral realm – the hydrangea. When the temperature climbs, I liken a generous vase of hydrangeas placed in the kitchen to putting on a cotton summer dress. Suddenly everything is lighter, fresher and cooler and all is as it should be to manage a summer’s day. Shedding minimal debris and with incredible staying power, they excel as cut flowers. 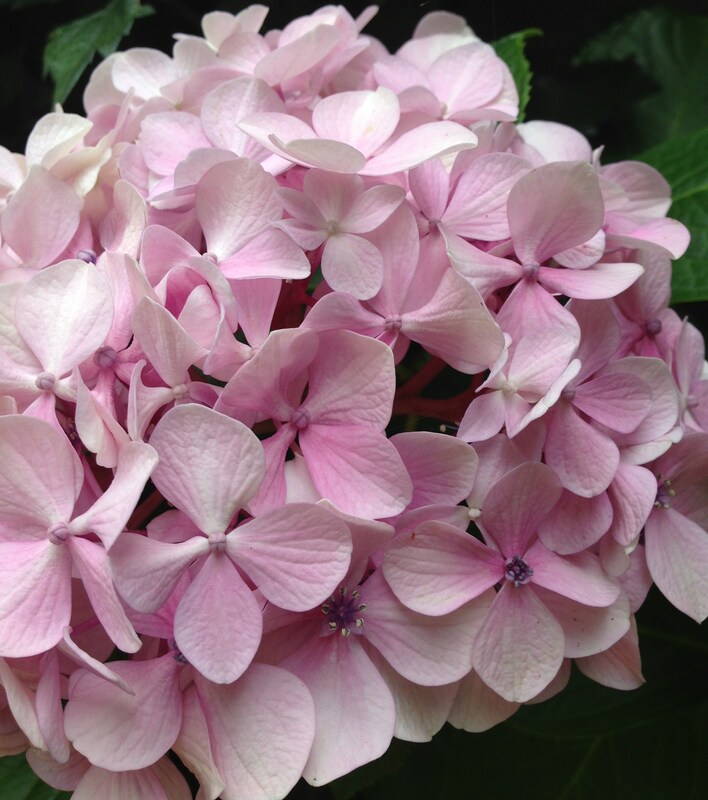 Even as they slowly dry, hydrangeas take on a charming antique appearance – another dimension of their beauty. Mass plantings under the eves of weatherboard homes, is a strong visual memory from a suburban Melbournian childhood that I hold dear. 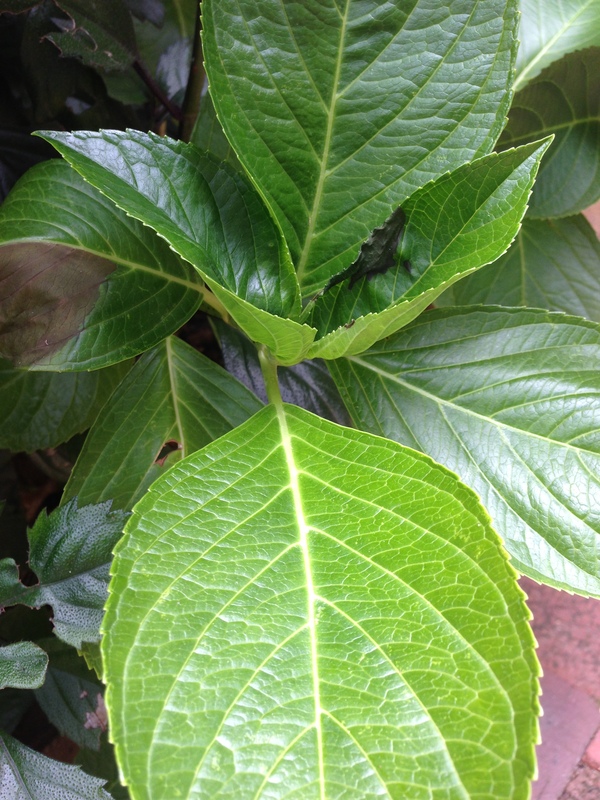 To generate your own mass plantings without having to invest a fortune, take cuttings from your (or a kind aunt’s) shrub. 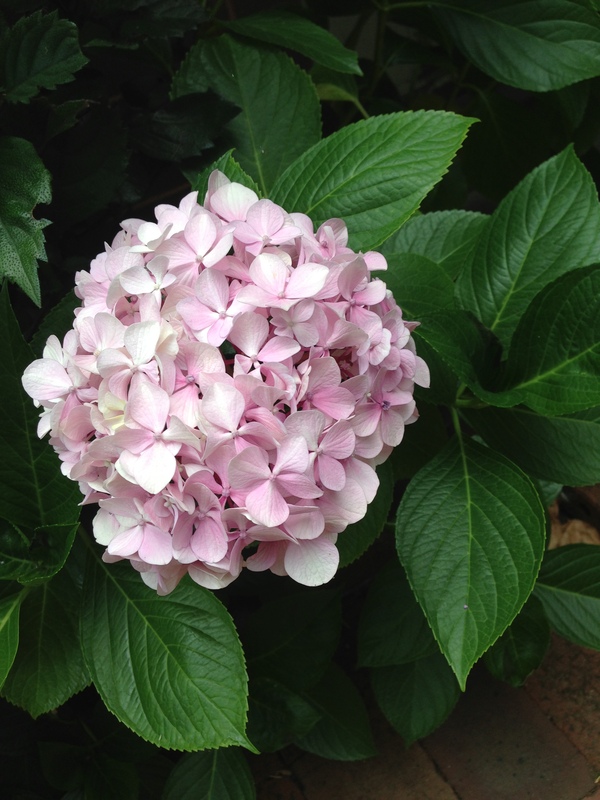 They strike in a pot of moist soil very quickly in a shaded spot, and if nurtured over winter, your wall of hydrangeas will be ready to plant out next spring. Providing you keep the water up to them during the heat and they dwell in semi-shade, these are not a difficult species to cultivate – and your vases will be filled for summer. Came over because of Gina! (above) I feel similarly about hydrangeas. We lived in New Zealand for a while and I LOVED how they made instant bouquets. Welcome Tricia! There is something very old-fashioned and comforting about them, that’s for sure.